Dr. Carlos Reyes, DC at Elite Chiropractic offers complete chiropractic care and wellness to the Bakersfield community. Through specific, effective chiropractic treatment along with state-of-the-art spinal decompression therapy, Dr. Reyes is committed to providing relief from many symptoms and conditions in order to improve your quality of life. Dr. Reyes' honesty, devotion to his patients' well-being, and refined chiropractic adjusting skills have quickly made him a favorite in Kern County and he is regarded as one of the best chiropractors in the Bakersfield area. At Elite Chiropractic you will receive the best care through the use of modern chiropractic techniques and technology. Dr. Reyes practices two methods of chiropractic adjustment, diversified and Gonstead, primarily focusing on the latter. Gonstead is considered to be the most biomechanically sound technique of chiropractic because of its specificity. Being proficient in both techniques allows Dr. Reyes to successfully treat patients of all ages and ailments. 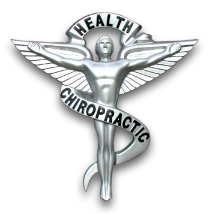 Call us today and we can develop a chiropractic plan specific for you. To receive free wellness and health articles subscribe to our bi-weekly newsletter. If you are already a newsletter subscriber, please explore the member wellness section of our website for animated exercise videos, wellness articles, chiropractic resources, and health facts specifically targeted to your wellness needs and interests by Dr. Carlos Reyes. Dr. Carlos Reyes is a graduate of the Cleveland School of Chiropractic, 2005. Since then, he has acquired invaluable experience as a chiropractor, fine-tuning his adjusting technique. In 2007, Dr. Reyes and his family moved to Bakersfield and for the past two and a half years, has strengthened his reputation as a capable and compassionate chiropractor. "Dr. Reyes is a FANTASTIC chiropractor! He took the time to talk with me and go over my issues (without rushing me!) and thoroughly explained what he would be able to do to help me. I felt immediate relief after my adjustment."